It looks like a model made from one of Foss' concept Nostromo(s) was built for a german film called Die Sturzflieger ! I've always liked that Foss design. I wonder if they paid to use the design. Hard to tell what the model is really like from those photographs. It would be good to see it on a star background but as you say there are not that many pictures of it. I see the film is twenty years old! Ripley: What's it key on? Ash: Micro changes in air density. There's a spread on these designs in "Hardware: The Definitive SF Works of Chris Foss"
I would have to conclude that they hired him to do all the designs. There's a clip of this film on Youtube, it looks kind of silly actually. Ah damn, now I feel silly... I have this book, should have checked if there was something related to this german film in it ! Anyhow thank you Karl for the info ! Reminds me of the Blade Runner Blimp to a degree. 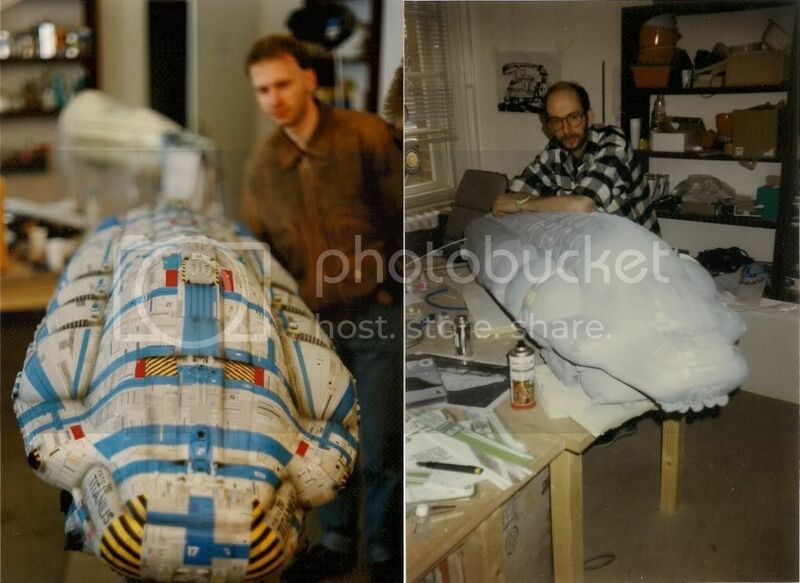 I agree Andy as I think the blimp idea came directly from this unused concept Nostromo by Foss ! 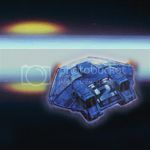 IMDB lists "Chris Foss" as "production designer: star ship"
It also mentions, "Partly filmed at a set built for the scene in Enemy Mine (1985) when Davidge is brought to the hospital in the starship". "Die Sturzflieger" translates as "The Nose divers" - I suppose the title refers to the slightly gung-ho attitude of the main characters. at the time my suspicion that German film makers didn't really get science fiction. I remember it being chokefull of plagiarized ideas. But, maybe, I'm being unfair and need to watch it again.